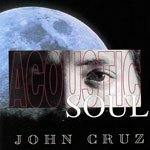 This is a classic song by John Cruz from his “Acoustic Soul” record. Island Style is one of the first songs I start beginners with when teaching. It’s very simple – just C, F, and G7 (and C7 if you want to get fancy). Strum, sing, and add in a solo if you like and there will be smiles all around.